A pharmaceutical company, or drug company, is a commercial business licensed to research, develop, market and/or distribute drugs, most commonly in the context of healthcare. Estimated at being astounding $1.11 trillion, the pharmaceutical industry reached great heights in 2018, which is set to rise up to $1.43 trillion by 2020. Pharmaceutical companies offer the most innovative and cutting-edge treatments to patients along with the pressure to develop drugs to meet the ever-increasing demand. Unlike their biotech counterparts, pharmaceutical companies have largely surpassed analyst expectations on earnings per share during the third quarter. From its beginnings at the start of the 19th Century, the pharmaceutical industry is now one of the most profitable and influential in existence, attracting praise and controversy. This article is focused on those companies, which have been the largest pharmaceutical companies in the world in 2019 and generating a large sum of revenue every year. Headquarters: One Johnson & Johnson Plaza, New Brunswick, New Jersey, U.S. The corporation includes some 250 subsidiary companies with operations in 60 countries and products sold in over 175 countries. The company is well-known among consumers with products such as the Band-Aid Brand line of bandages, Tylenol medications, Johnson’s baby products, Neutrogena skin, and beauty products, Clean & Clear facial wash and Acuvue contact lenses. Headquarters: New York City, U.S.
Its products include the drug Lipitor (atorvastatin), used to lower LDL blood cholesterol; Lyrica (pregabalin) for neuropathic pain and fibromyalgia; Diflucan (fluconazole), an oral antifungal medication; Zithromax (azithromycin), an antibiotic; Viagra (sildenafil) for erectile dysfunction; and Celebrex (also Celebra, celecoxib), an anti-inflammatory drug. 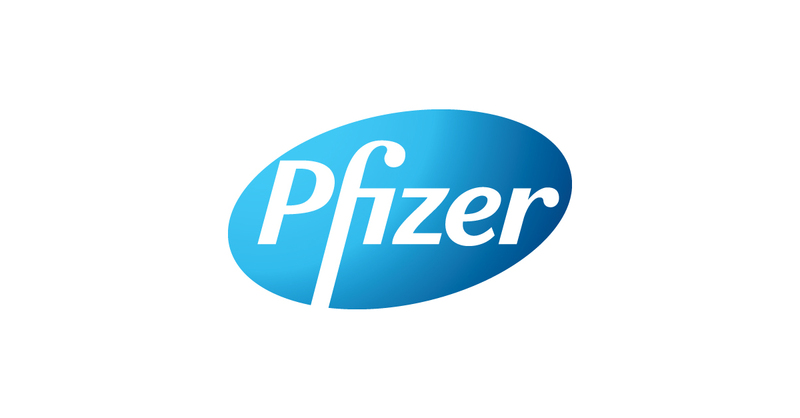 In developing countries with a greater than 1% prevalence of HIV/AIDS, Pfizer makes the anti-fungal drug fluconazole available free of charge to governmental and non-governmental organizations (NGOs). The company controls other biotechnology companies: Genentech (US), Chugai Pharmaceuticals (Japan) and Ventana (US). The company is the world’s largest spender in pharmaceutical R&D. Its products include Actemra/RoActemra (tocilizumab) for rheumatoid arthritis, Cymevene (ganciclovir) for cytomegalovirus infection, Valium (diazepam) for anxiety disorders, alcohol withdrawal, status epilepticus, and other conditions, Invirase (saquinavir) for HIV-1 infection, among others. Headquarters: Kenilworth, New Jersey, U.S. The company publishes world’s best-selling medical reference, Merck Manual of Diagnosis and Therapy, which is a part of The Merck Manuals, a series of medical reference books for physicians, nurses, technicians, and veterinarians. As of August 2014, Merck’s research and development effort have led to the approval of more new drugs than that of any other company. Its major products are Januvia (sitagliptin)- a dipeptidyl peptidase IV inhibitor for the treatment of type 2 diabetes, Zetia (ezetimibe)- a drug for hypercholesterolemia, Remicade (infliximab)- monoclonal antibody, Gardasil- recombinant human papilloma virus vaccine, Mexsana- antiseptic powder, among others. The companies program MSD for Mothers is a not for profit organization which is working to improve maternal health. Some drugs manufactured by the company are Clozaril (clozapine)- for schizophrenia, Voltaren (diclofennac)- for rheumatoid arthritis, diovan (alsartan)- for hypertension, Femara (letrozole)- for breast cancer, and others. Novartis Institute for Tropical Diseases, which works on tuberculosis, dengue, and malaria, and Novartis Vaccines Institute for Global Health, which works on salmonella typhi (typhoid fever) and shigella reside within Novartis Institutes for BioMedical Research (NIBR) and are involved in extensive research. Headquarters: Lake Bluff, Illinois, U.S.
AbbVie is a research-driven biopharmaceutical company that focuses on new approaches to addressing today’s health issues- from life-threatening illness to chronic conditions. The company produces a specialty drug, ibrutinib, that costs US$116,600 to $155,440. AbbVie estimates global sales of the drug at $1 billion in 2016 and $5 billion in 2020. Headquarters: Newbury Park, California, U.S.
Neulasta/Neupogen used to prevent infections in patients undergoing chemotherapy, and Enbrel, a tumor necrosis factor blocker used in the treatment of rheumatoid arthritis are the company’s best-selling drugs. The “biology first” approach of Amgen focuses on cutting-edge science and technology to study the subtlest biological mechanisms in search of therapies that will improve the lives of those who suffer from serious diseases. The company’s diagnostics including immunoassays and blood screening are used worldwide to diagnose and monitor diseases such as HIV, hepatitis, cancer, heart failure, and metabolic disorders. It also provides point-of-care cardiac assays to the emergency department. It was the first company to mass-produce the polio vaccine developed by Jonas Salk and insulin. It sells its products in over 125 countries. It produces human insulin (Humulin), insulin lispro (Humalog), and insulin glargine (Basaglar) using rDNA technology. The largest manufacturer of psychiatric medications and produces Prozac (fluoxetine), Dolophine (methadone), Cymbalta (duloxetine), and Zyprexa (olanzapine). The company has production facilities in 8 countries, affiliates or offices in 75 countries, and markets its products in 180 countries. The company aims to defeat diabetes and other serious chronic diseases. It produces medications and devices for diabetes care, hemostasis management, growth hormone therapy, and hormone replacement therapy.